College Blvd to Grant. South on Grant to Mastin, right on Mastin to address on left. Overland Park is located in Kansas. Overland Park, Kansas 66210 has a population of 186,515. The median household income in Overland Park, Kansas 66210 is $72,231. The median household income for the surrounding county is $75,017 compared to the national median of $53,482. The median age of people living in Overland Park 66210 is 37.7 years. 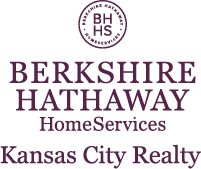 I am interested in 11441 Mastin Street, Overland Park, KS 66210.